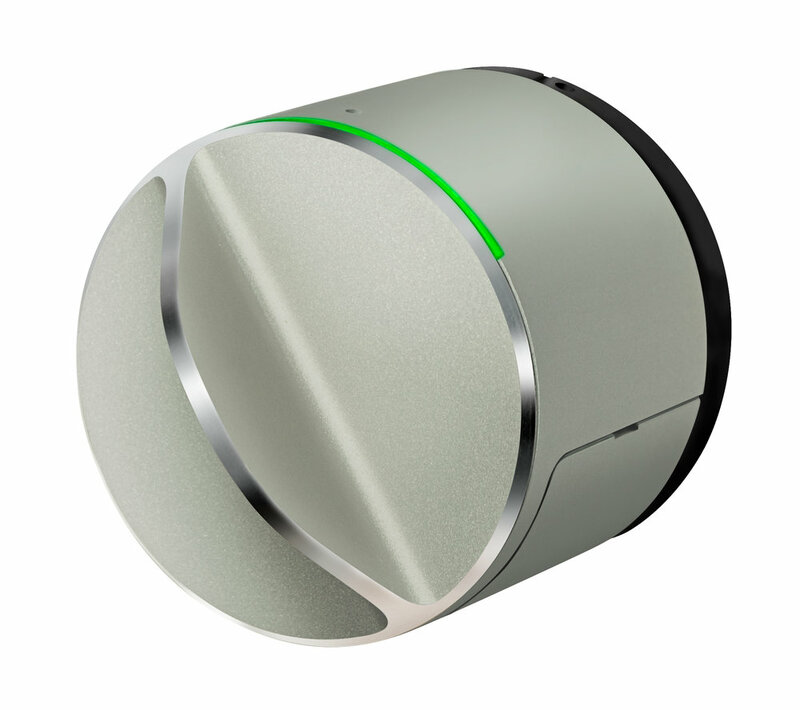 The Danalock V3 is a wireless smart lock that lets you easily control access to your home with your smartphone. So stop worrying about lost or forgotten keys, use your smartphone to lock or unlock the door. As the owner of a Danalock V3, you can create an unlimited number of digital keys for your family members, friends, guests or helpers such as a housekeeper or contractor*. Program each user's access level by choosing permanent or temporary access. Set up alerts, so you know exactly when the lock is used — and by whom. Hands full? The Danalock V3 smart lock senses your approach and unlocks the door for you*. 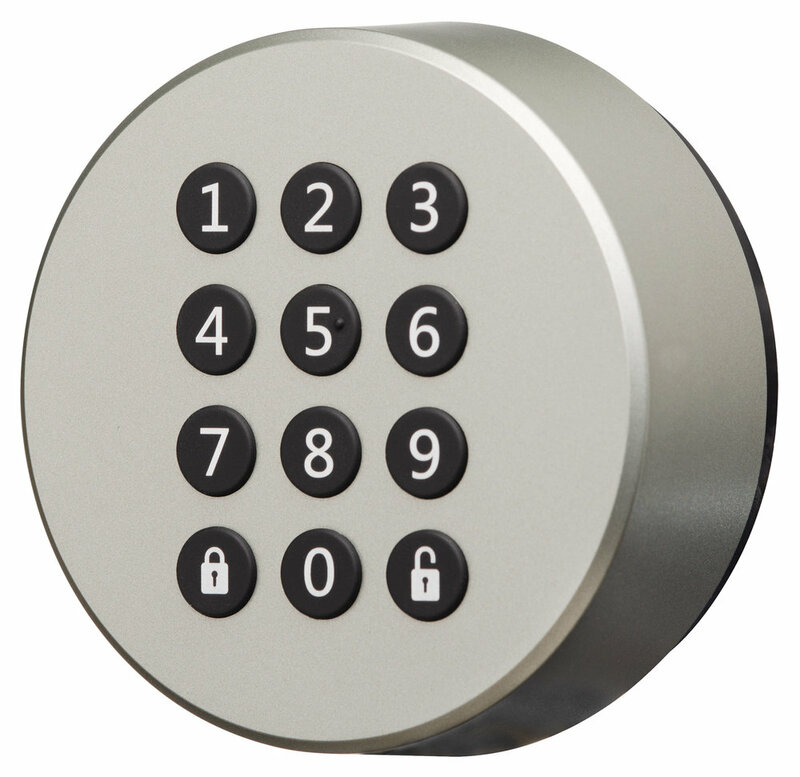 For added convenience, you can configure the Danalock V3 to re-lock the door after entering. With its simple Danish design and advanced encryption algorithm, the Danalock V3 offers a secure yet elegant door locking experience. Anodized aluminum ensures not only a scratch-free surface but also a unique finish. The small form factor provides a sleek, futuristic look. With its country specific adapters, the Danalock V3 is globally compatible. It fits the three most common types of cylinders: oval lock Scandi cylinders and drop-shaped Euro cylinders. The Danalock V3 uses an advanced encryption method for transferring data (AES 256), which is the same encryption technology used by governments and military to keep information secure. The communication between the smart lock and the smartphone is protected by the advanced security protocol TLS 1.2. The digital keys that authenticate the Danalock V3 are stored in a HSM chip that ensures that all keys are exchanged without any private information leaving the chip. Let the Danalock V3 be the trigger of your smart home commands when entering or leaving your home. Interoperability is the cornerstone of all Danalock products. The Danalock V3 is by far the most versatile and flexible platform available, setting new standards in cross-platform interoperability. The Danalock platform supports a wide range of integration options for third-party applications. Fully documented SDKs and APIs are available for partners. Danalock partners can integrate with their own commercial platform for their existing mobile apps, business applications or booking systems. The Danalock V3 comes with Bluetooth® by default and in versions that support the major smart home gateway systems: Apple HomeKit, Z-Wave Plus and Zigbee. Want to become a Danalock reseller in the nordics? Apply now!